Do the twist into this 50s Pink Scarf. 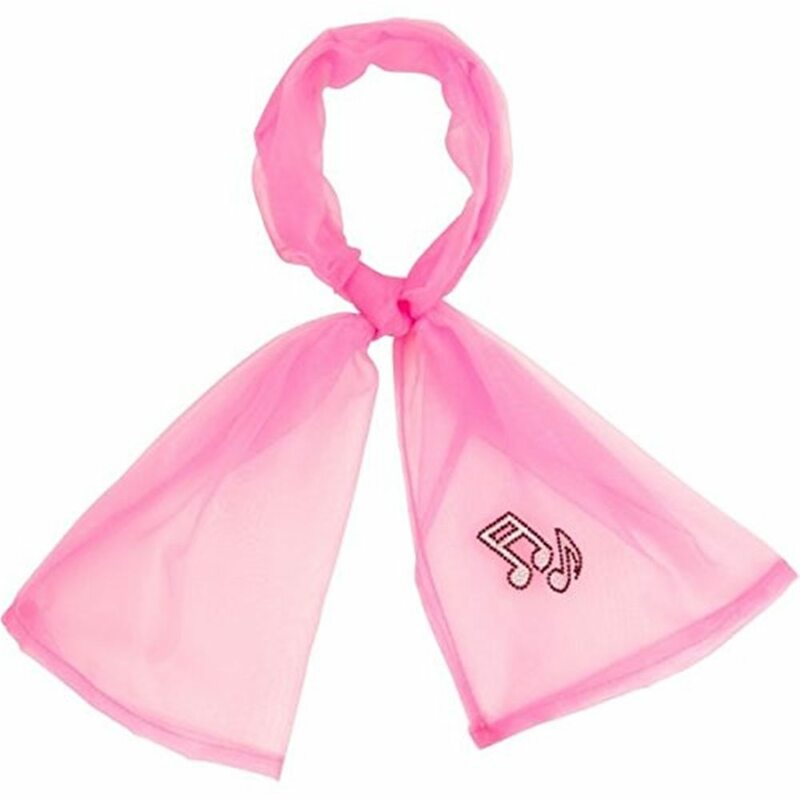 The lightweight pink scarf is decorated with sparkling music notes. Embellish your 50’s inspired costume or outfit with this pink scarf.